Other names: Kayu mata hari. Bua soboh is a fruit of South East Asia. It grows Indonesia, Malaysia, Brunnei etc. Mostly, it grows wild, but sometimes it is cultivated too. The plants can mostly be found growing along the rivers, on swamp and sub-montane forests upto an altitude of 1200 m.
Description:Am monoecious shrub or small tree 7-10 m tall. Inflorescence upto 60 cm long, lowers 6 mm wide, white-yellow-red, placed in panicles. 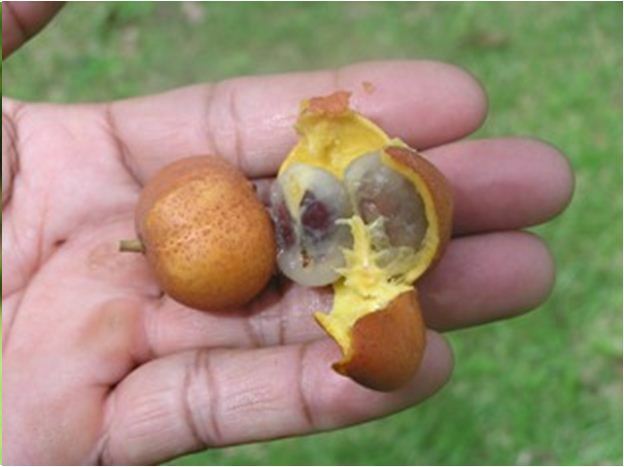 Fruit, a trilobed berry, 2-3 cm in diameter, yellow-red-brown,1-4 seeds and endocarp forming an arillode. 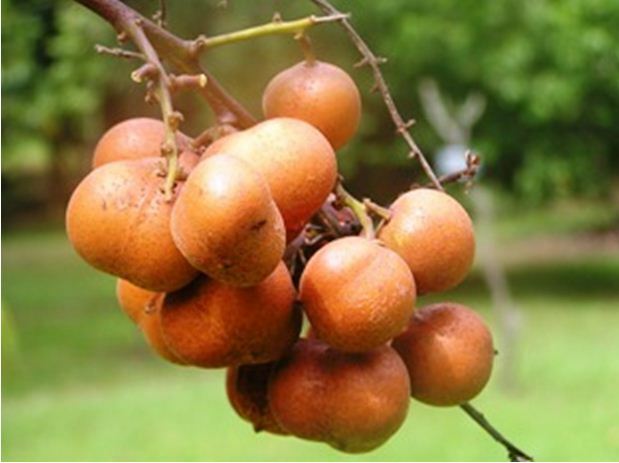 The fruits are edible but astringent. The wood is hard and useful. 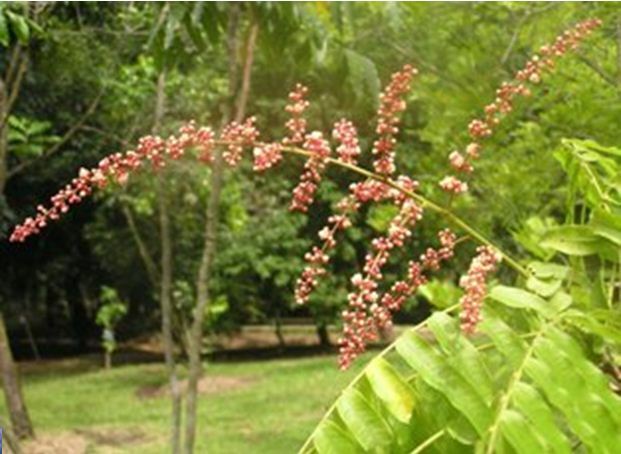 The bark and young leaves are used to treat ulcers. The fruits are edible. 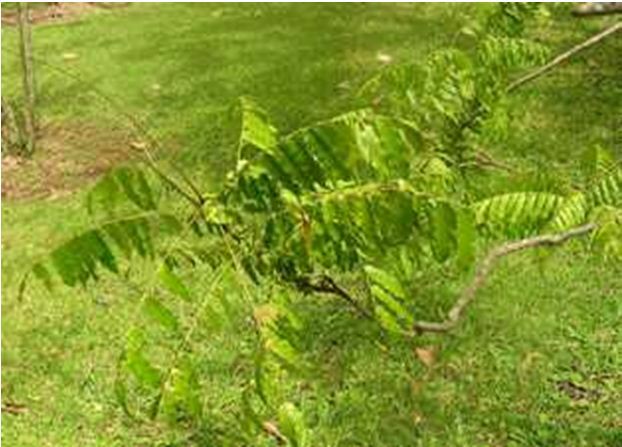 The plant is planted in gardens mostly as an ornamental tree.